We all have our genius. We all know it’s there but some employers don’t help you find it. By using a variety of scientific and proven methods used to develop employees, Brompton has unlocked pure creativity which has reaped rewards for us very early on in 2017. Happy and valued employees create our ‘anti-boiler room’ autonomous environment built on respect and aligned vision. By establishing trust early on and consistently enhancing each recruiters onboarding experience, we create a free range environment where Brompton agents can be creative,fun and agile in a welcoming environment. Each employee is different and we don’t have a one size fits all approach and this not only applies to our vibrant team but also to our clients. By problem solving and fact finding with our portfolio of clients our consultants can remedy that void in your team and deliver consistently for your business. We are invested in our consultants so that they are in turn invested in your business delivering a timely service without anyone cracking the whip behind them and stunting their diversity and creativity. In the past, we were forced to hire as the demands of our business outweighed our resources so taking the fight or flight response we were rushed into the brisk & unsteady hires of some experienced agents that seemed to be suitable in their roles or sector , however we were tight on time and overlooked their education on the vision of our business and this presumption turned out to be the mother of our mistakes resulting in finishing people’s journey with us due to disjointed vision. In the past, attempts at dabbling in other sectors weren’t part of our genius and agents became allergic to business development resulting in non productive teams, in turn draining our resources. Our consultants develop the business because they want to not because they have to. 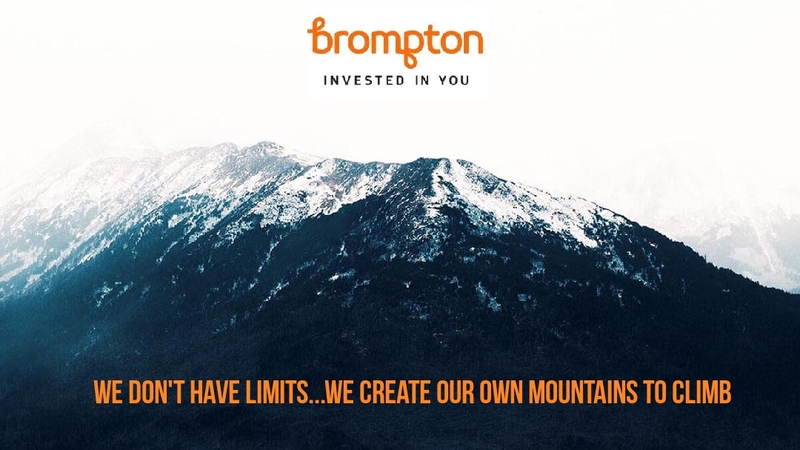 They treat Brompton like their own business nurturing and growing it and are strong and driven and enjoy their work day as it’s a happy and healthy environment. Ingrained in our culture is fun and ambition which we looked for in our new team focusing on competencies only and not experience as that’s where we made the mistake in the past. Our team are transparent and committed to their process as we are there with them every step of the way. We had hired problems into uncharted waters and this created serious issues for the business with agents free to take advantage and potentially affect our reputation. By strategically creating our business plan and hr plan that involves a well designed learning and development programme that invests in everyone involved we have let go of the mistakes from the past so that we can focus on the dreams of our team.